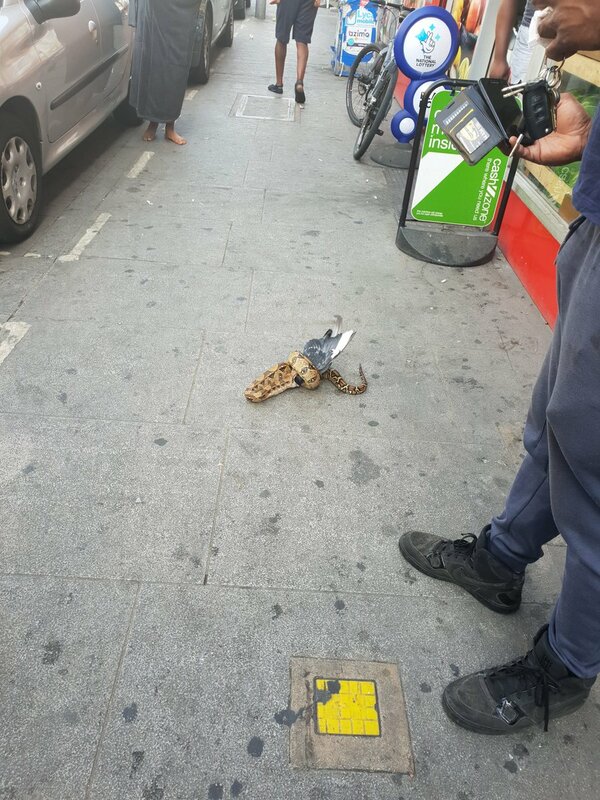 Shocked shoppers discovered a boa constrictor snake eating a pigeon an East London high street this week. The snake is not indigenous to England and the RSPCA believe it was a pet that had escaped or been abandoned. They did not believe the snake had hunted it down its prey the said the snake must have found a dying or injured pigeon and then decided to turn it into a tasty snack. 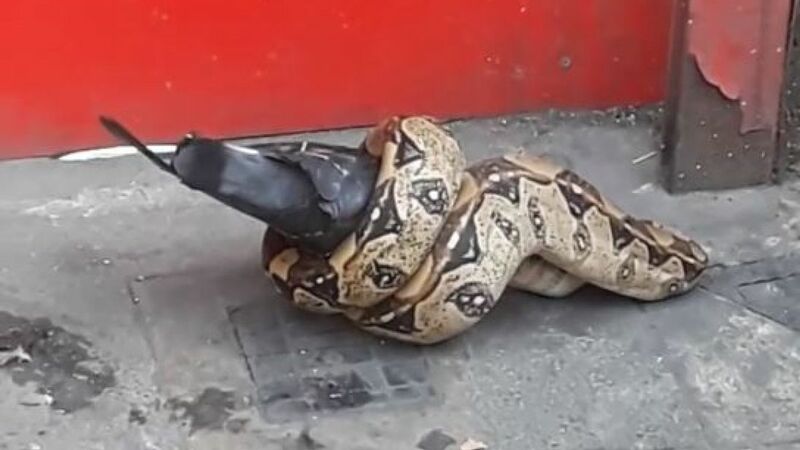 Some witnesses claimed someone had fed the boa constrictor the already dead pigeon. See a pigeon being eaten by a pelican in a London park.